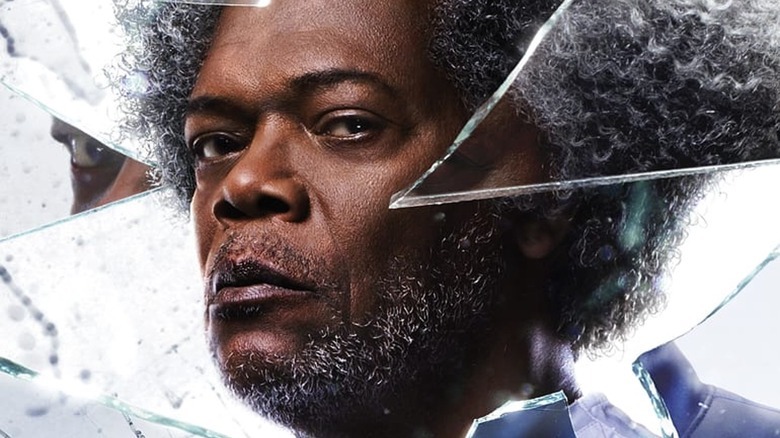 Glass, M. Night Shyamalan's long-awaited follow-up to Unbreakable and Split, has finally arrived in theaters, and we at long last have seen what happens when Mr. Glass (Samuel L. Jackson), the Horde (James McAvoy), and David Dunn, a.k.a. 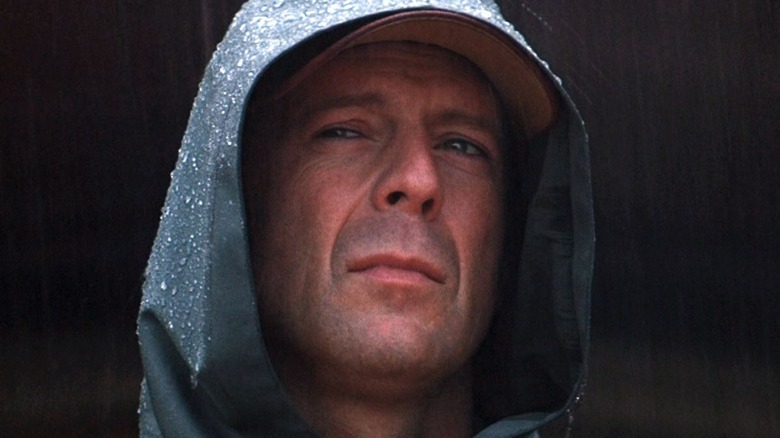 the Overseer (Bruce Willis), share the screen. Because Glass is a sequel, there was a certain sense that we might know what to expect, and indeed the early sequences of the film shape up very much like audiences who've seen the trailers might expect. 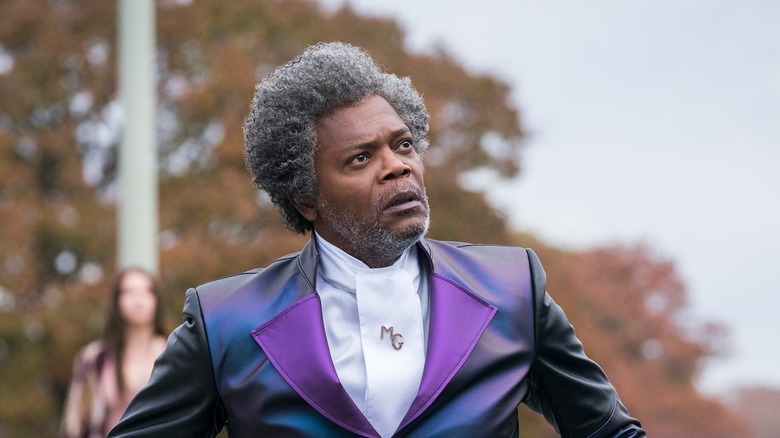 This is an M. Night Shyamalan film, though, which means that by the time Glass reaches its climax, all bets are off and surprises are in store. The film has completely changed the game by the time it's over, and its ending leaves numerous implications for the greater universe in which the story takes place. There are plenty of loose ends, unanswered questions, and big ideas that could carry over into another film, or several. 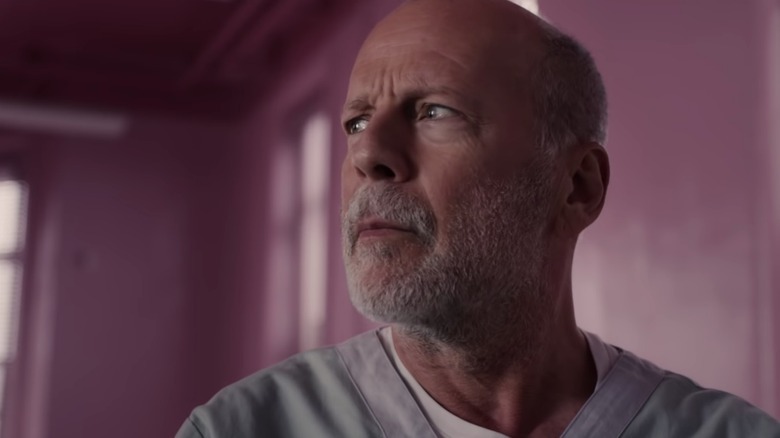 Here's the ending of Glass, explained. Spoilers ahead! 2000's Unbreakable introduced viewers to Elijah Price, a.k.a. Mr. Glass, a mysterious (and seemingly unbalanced) comic book dealer who spends much of the movie encouraging security guard David Dunn to embrace the idea that he's been gifted with superhuman abilities. It's a wacky idea, but Price is ultimately proven right; Dunn slowly comes to realize he's nearly invulnerable, can see into people's thoughts simply by touching them, and possesses incredible strength — powers he haltingly begins putting to use in an effort to bring evildoers to justice. Of course, this being an M. Night Shyamalan picture, there's more to the story than initially meets the eye: Price's motives for awakening Dunn to his powers are far from altruistic. In fact, he orchestrated the horrific events that led to his discovery of Dunn in the first place, and sees himself as the perfectly opposed villain to Dunn's hero. While there's plenty of symmetry backing up Price's point of view — right down to the rare bone disease that renders him just as physically fragile as Dunn is strong — Dunn refuses to play by his new arch-nemesis' rules, and as Unbreakable ends, we learn that Price has been arrested and committed to an institution for the criminally insane. David refuses to be drawn into a super-rivalry with Elijah, but that doesn't mean he rejects the potential of his powers outright. As we see in the surprising twist Shyamalan buried in the closing moments of 2016's Split, our Mr. Dunn adopts the alter ego identity of the Overseer, dedicating himself to ferreting out and foiling evil — ultimately with the assistance of his son Joseph (Spencer Treat Clark), who becomes his partner in a security company. 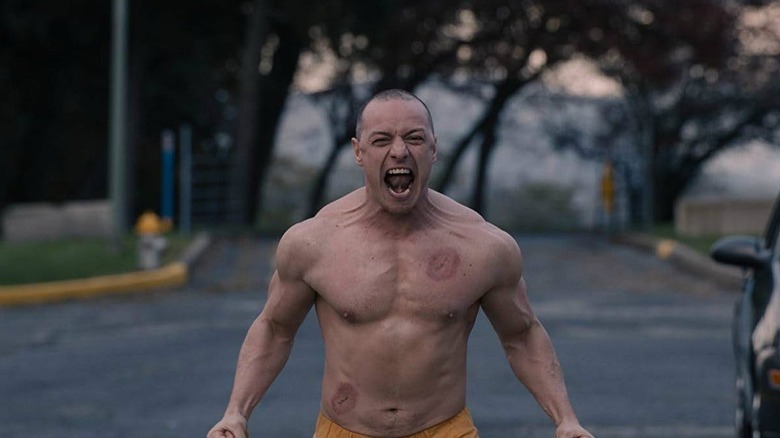 It'd be interesting to learn more about his exploits over the more than 15 years following Unbreakable, but audiences see him at a pivotal moment: learning about Kevin Wendell Crumb, a.k.a. the Horde, whose psychotic exploits become public in Split's final act. As Glass opens, we see Dunn moving against Crumb, intent on foiling his latest kidnapping — and he does a pretty good job, tracking down Crumb's victims and facing off against his adversary in a fight that causes enough of a ruckus to get the attention of local law enforcement. Unfortunately, it doesn't end well for David: seeing him as just as much of a menace as Crumb, the authorities lock them both up in an institution. Surprise! It's also the institution where Elijah Price is incarcerated. With Dunn and Crumb at the institution, Price has all the pieces in place for his latest villainous orchestration. In Dunn, of course, Price has always seen his perfect adversary; in Crumb, he has a potentially useful ally. A man with dissociative identity disorder, Crumb lives with more than 20 personalities — including one dubbed "The Beast," imbued with superhuman strength and a desire to rid the world of "impure" individuals who've never known suffering. Of course, with the trio locked up, setting the wheels in motion for his latest scheme isn't simple — but once they're all in the same building, being treated for apparent delusions of grandeur, Price's devious intellect is more than enough to lay the groundwork for an escape that will lead to the conflict Mr. Glass has been hoping to spark all along. 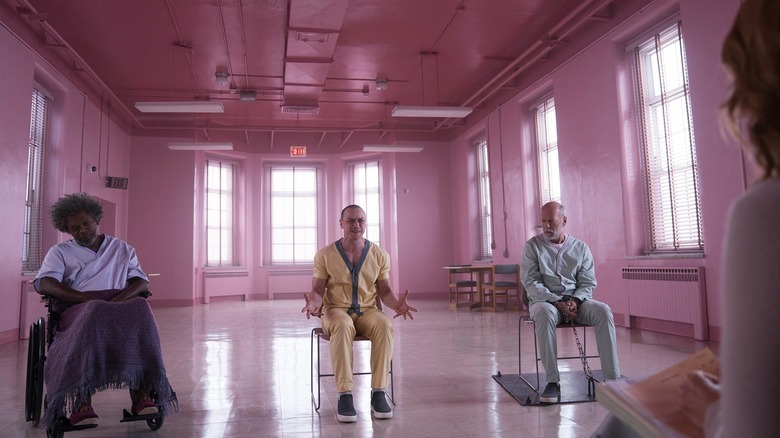 As always, there's a method to his brilliant madness, and his underlying motives will play a huge part in the final act of Glass — and set the stage for an ending that leaves the door open for all sorts of new stories. Glass ends on something of a hopeful note, as the world learns of what happened at the mental institution, and Elijah's plan to let the world know that people capable of extraordinary things are lying in wait begins to unfold. That said, to get to that point, the film has to go through the deaths of three such extraordinary individuals, all overseen by the mystery organization of clover-tattooed people who took over security measures during the final struggle. This organization couldn't oversee anything, but they did still seem to sweep everything except Mr. Glass's video under the rug, and that raises an interesting question: What happened to the bodies of David, Kevin, and Elijah? Both David and Elijah had next of kin present who could bury them, so were they able to have funerals? Did the clovers take the bodies for study before turning them over to the families? Were they put into some kind of secretive cold storage? Were they simply disposed of? The film doesn't tell us, so it's quite possible three super-bodies are still floating around somewhere in the world, waiting for weird fan encounters, top secret study, or both. The other element that the group didn't sweep under the rug is much more alive than the surveillance video. 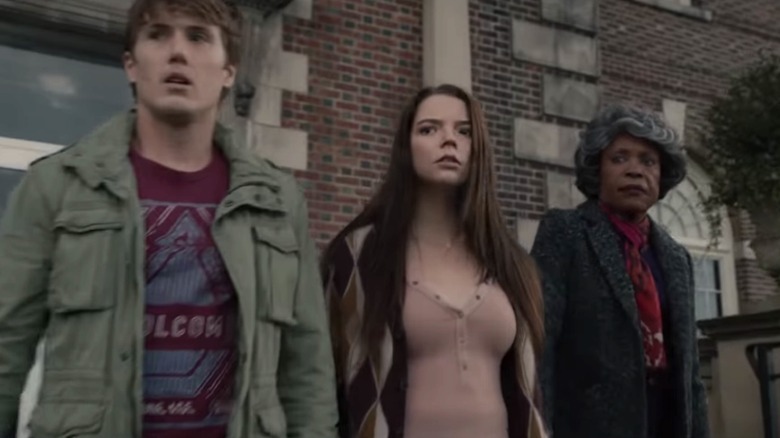 Joseph (Spencer Treat Clark), Casey (Anya Taylor-Joy), and Mrs. Price (Charlayne Woodard) are all not only still alive and still witnesses to what happened, but they managed to work together to share the footage with the world, and then went out to a public place to watch together as the world woke up to what happened. The trio of people tied to the supers in Glass don't seem at all interested about keeping quiet anymore. In fact, they seem happy to tell everyone they can reach about what happened, and who caused the three deaths of their loved ones. That seems like an awfully risky thing to do in light of what happened at the institution. So will the organization keep to the shadows and try not to make the trail of bodies leading to them even bigger? Will they opt for intimidation tactics and the destruction of evidence? Or will they just decide to put bullets in the heads of Casey, Joseph, and Mrs. Price? We don't know, but it's doubtful they won't notice. 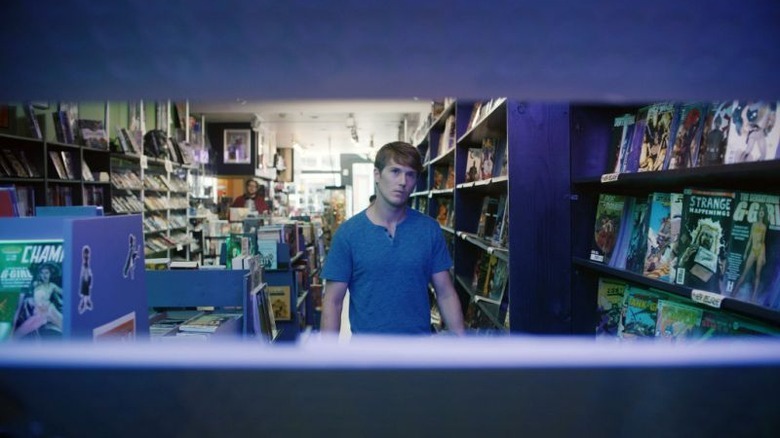 Though one of the late twists in Glass involves the introduction of what would seem to be an entire secret society with significant resources and a very clear mission, the film gives us very little real insight into what this organization is and what they can do, beyond the stated mission to keep "balance" and shut down what's happening to David, Elijah, and Kevin. We don't know how big this organization is, how many people work for them, how far their reach might be or what kind of government scrutiny they may or may not be able to evade. And now there's video footage of them murdering David and Kevin, both of whom are basically defenseless at the time they're killed. David's death is particularly brutal and merciless, and now it's on tape for the world to see. Will there be repercussions? Will internet mobs begin to form up, geared toward finding these people and where they hide? Will the United States government look into it? Will there be hearings? We don't know all the details of the organization, so we can't know exactly what they'll face, but there will have to be consequences. 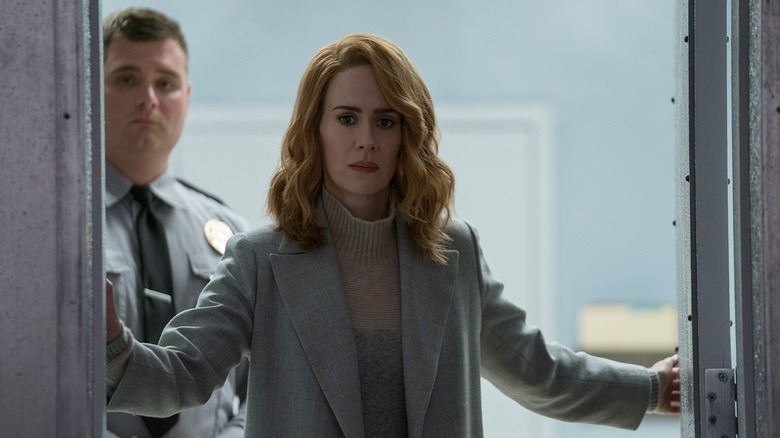 Then there's the issue of Dr. Staple (Sarah Paulson), who was spearheading the efforts of the organization when it came to Elijah, David, and Kevin. Though her mission to maintain balance was quite clear, Dr. Staple did still seem to have some degree of compassion and even respect for her patients, and she really seemed to hope she could convince them they were delusional rather than put them down. Still, when it came time for them to act, she went to work and managed to contain the three men… that is until she discovered, after telling her bosses she'd taken care of everything, that Elijah had released his footage to the public through a little bit of clever pre-clash hacking. Dr. Staple's frustration at this is palpable, but we don't know the full consequences of what's happened beyond that. What happens to her within the organization now that this has happened on her watch? Will she be fired? Will she be killed? If they try to get rid of her, will she go public and even join the side of the gifted people? Dr. Staple's story is not over, even if the story of her patients is. No matter what happens to Dr. Staple, the organization dedicated to restoring balance will now be working overtime, with Elijah's video out in the world. The intent of the footage was to cause a kind mass activation for gifted people, to encourage them to realize their abilities, come into the light, and live openly as superbeings in a brighter world where their gifts might be celebrated rather than shielded. If that happens even a little bit, the clovers will have their hands full, and that means they'll have to use all of the tools at their disposal. Among those tools, according to Dr. Staple, is a machine that is able to lessen the stimulation in the frontal lobes of patients, thus in same way correcting the anomaly that's a marker for this supernatural abilities. She tries to use the procedure on Elijah, but he dupes her, and then later she assures her colleagues she will "use the machine" on anyone she is unable to convince they're delusional. It's not clear exactly how often this machine is used, but if the organization's resources are strong enough, we can expect a world in which they're delivering as many MRIs and using that machine as often as possible. If you have even a hint of weird brain activity in your future, you might be staring down its barrel. Though its three protagonists are very clearly the center of Glass, the film also gives us a very good idea of what life has been like for Casey since she escaped Kevin's hideaway back at the end of Split. Her encounter gave her the courage to report her uncle for his repeated abuse, and he went to jail while she was placed in a loving foster home. This experience in turn gave her the courage to go the institution and ask Dr. Staple to speak to Kevin, and then they were both surprised and pleased to find that her true sensitivity and care for him was enough to coax the gentler personalities out into the light. 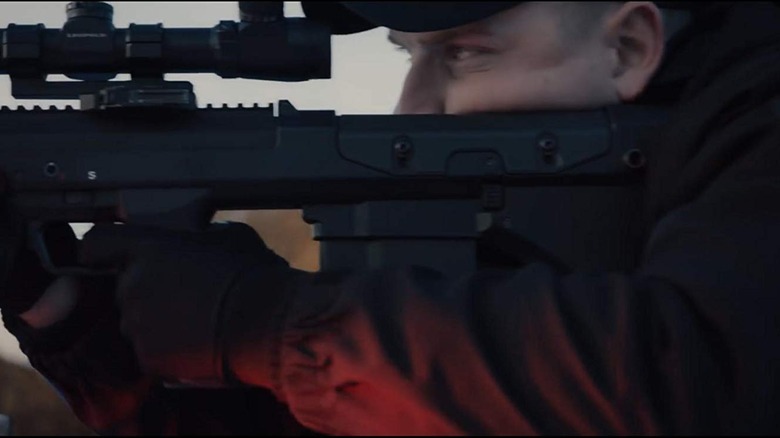 It turns out that Casey's affection might have been the key to ending the Horde and quieting the Beast, if she hadn't been stopped by a bullet to Kevin's stomach first. So what does Casey do now? If we've learned anything about her, it's that she uses her experiences to adapt and change her life, so it's possible she will become some kind of victim advocate specializing in people with mental illness brought on by trauma. Of all the survivors of the incident, she may end up being the most effective, because she exhibits such tremendous empathy. 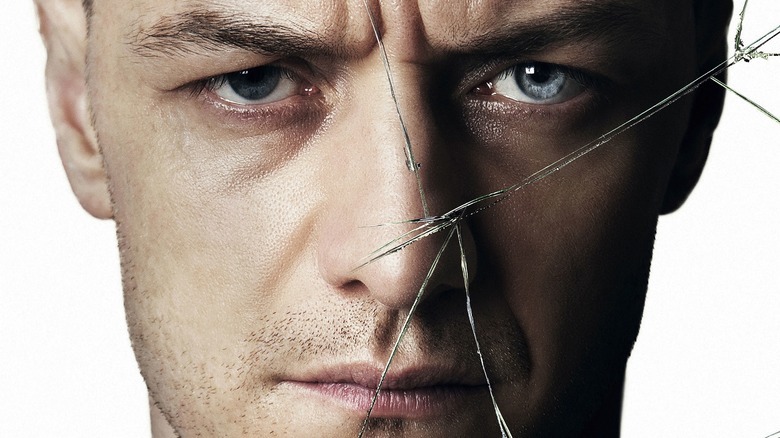 Yet another twist in Glass reveals that the train derailment Elijah caused didn't just coax out David's own discovery of his unbreakable abilities. It also killed Kevin's father, who was his one chance to get treatment for his DID and, thus, prevent the emergence of the Beast and end his suffering. That means Kevin's mental illness could have been slowed and he could have been saved a lot of trouble, but that doesn't mean David would never have discovered his gifts. Unbreakable shows Elijah actively coaxing those abilities out, asking the right questions and getting David to test himself, but the abilities were already there. David didn't really have to grow them, just groom them. With that in mind, it's worth asking a question that so often comes up in the comics Elijah loves so much: Could David's condition be in any way genetic? Is there some kind of trauma out there that could activate similar abilities within Joseph? Could the death of his father push him to test his own limits and find that he's not as ordinary as he'd perhaps thought? In a world in which comic books are an indication of human potential, crazier things have happened. Speaking of comic book tropes, Glass shows us an ending in which we see three people with incredible abilities die, one of whom is nearly indestructible and another who is capable of pushing his body to supernatural heights with the right alter personality taking control. The film tries to make it clear that David, Kevin, and Elijah are dead, but we don't see funerals, cremations, or even the bodies beyond the parking lot at the institution. Any fan of comic books (including, presumably, Elijah) knows that death is almost never final among superheroes. Heroes can stay dead for long periods of time, but they almost never stay dead forever, and some of them are back in the very next issue. Who's to say that can't happen to David, as his body somehow adapts to become unbreakable even to drowning? Who's to say it can't happen to Kevin, who somehow allows the Beast to claw his way back up into the light just long enough to get his heart pumping again? The film doesn't say that will happen… but it doesn't say it couldn't. As the footage of what happened at the institution makes it way out into the world, Mrs. Price — channeling her son's obsession with comics — declares it to be the "beginning of a universe," as presumably special people everywhere are realizing their potential. It's a nice moment, and it does of course beg for a sequel or yet another companion film in which we see others learning they have incredible abilities even as a secret society is out there trying to stop them. Before she found out about the footage, Dr. Staple even mentioned moving on to "the next city" to continue her work at curtailing the rise of people with abilities. So what is the next city? If this all happened in Philadelphia, what will happen when this footage hits New York? Or Mexico City? Or Beijing? What will happen if this really is universal, and these people begin emerging everywhere all at once? It's the beginning of a universe, but it could also be the beginning of an all-out war, and of a society in which every crowd could hold several individuals capable of reducing the people around them to dust. It's a potentially scary thought, but also a very exciting one.